This semester, we had the honor of hosting H.E. Aisha Al-Suwaidi for a discussion on how public policies are shaped in the UAE. 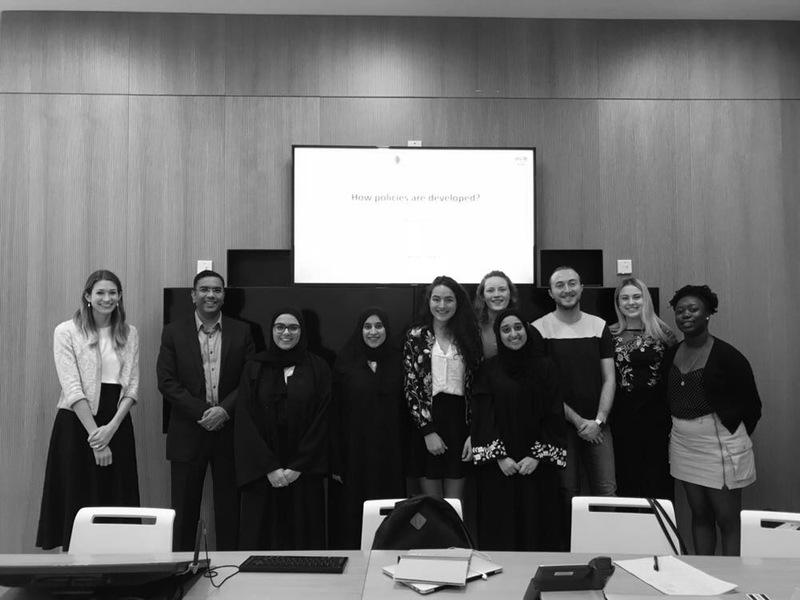 Specifically tailored to the Women and Work in the Gulf course,Al-Suwaidi presented a case study on work/life balance policy initiatives— most notably the recent introduction of extended maternity leave in the country. Through an examination of local statistics and international gender balance reports, Al-Suwaidi painted a more nuanced picture of the public policy process as it relates to gender.